← It’s One Sweet Deal! We’d like to share some exciting developments going on here at the WURTH Group. With the recent announcement that we are teaming with Penske Racing in a multi-year partnership to sponsor Penske’s NASCAR Nationwide Series, you’ll be hearing (and seeing) a lot more from us this year and beyond. 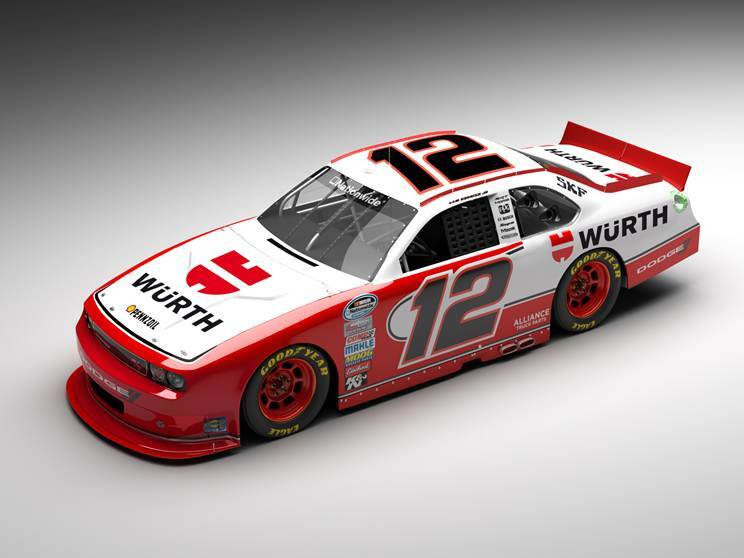 With WURTH and Alliance Truck Parts as sponsors, Sam Hornish, Jr. and the Number 12 Dodge Challenger team will compete for the full Nationwide Series season in 2012. The WURTH Group will be the primary sponsor in seven races this year, beginning with Texas Motor Speedway on Friday April 13th. WURTH will also be an associate sponsor for the remaining 26 Nationwide Series races in 2012. On top of that, we’re also excited to be an associate sponsor of the Number 2 Miller Lite Dodge Charger driven by Brad Keselowski in the race for the Sprint Cup. The WURTH Group has been actively involved in European racing for over 30 years supporting teams in various disciplines, including the Formula One and DTM Series. Expanding that support to the United States and NASCAR is a big step for the WURTH Group, and one we’re looking forward to taking. Follow Sam Hornish on Twitter @SamHornish and don’t forget to check out www.penskeracing.com, www.samhornish.com and the upcoming www.wurthracing.com.